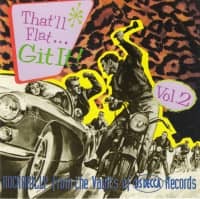 Learn more about Various - That'll Flat Git It! 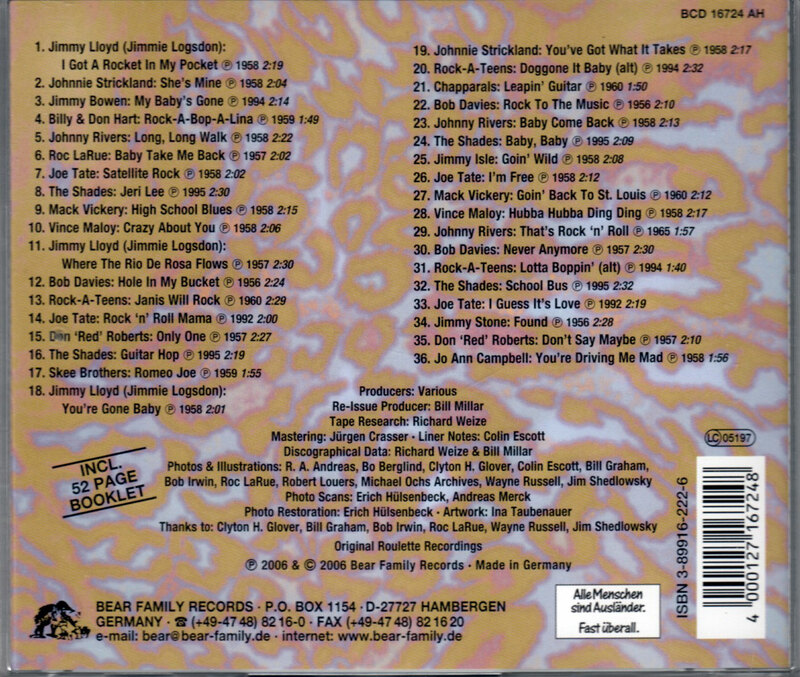 1-CD with 52-page booklet, 36 tracks. Playing time approx. 79 mns. Rockabilly from the vaults of Roulette Records! One of the most durable independent labels, Roulette Records was launched in January 1957 by several veterans of the New York music scene. Unlike, say, Atlantic, there wasn't an artistic vision behind it, unless making lots of money counts as an artistic vision. There were partners, silent partners, and probably silenced partners. The partner with the longest music industry involvement was music publisher Phil Kahl, who'd joined Santly-Joy Music in 1944, and managed Disney's east coast music publishing before forming a music publishing combine (Planetary, Kahl, and Patricia Music) in 1954 with club-owner Morris Levy. Apparently, Levy (whose name is usually prefixed by 'the notorious' because of his mob connections) had discovered music publishing by accident. He'd thrown some guys from ASCAP out of his club, Birdland, when they'd demanded that he pay them for playing music. Then, in conversation with his lawyer, he'd discovered that you could actually collect money if your songs were performed in clubs, so he decided to become a music publisher. "I love my publishing," he told Dorothy Wade and Justine Picardie. "It's very intimate, very straight, and never talks back to you. Publishing was always my first love. I only fooled with records to get more publishing." In November 1955, Phil Kahl's younger brother, Joe Kolsky (the family name was Kolsky), bought a 50% interest in the Rama, Gee and Tico labels from doo-wop record pioneer George Goldner. One year or so later, Kolsky, Kahl, Levy, and Goldner decided to launch a new label, Roulette. The name alone was a wonderful metaphor for the music business. It's likely that dee-jay Alan Freed, whom Levy managed in some capacity, had a silent share in the label (Levy later said that Freed owned twenty-five percent). The original partnership didn't last long. 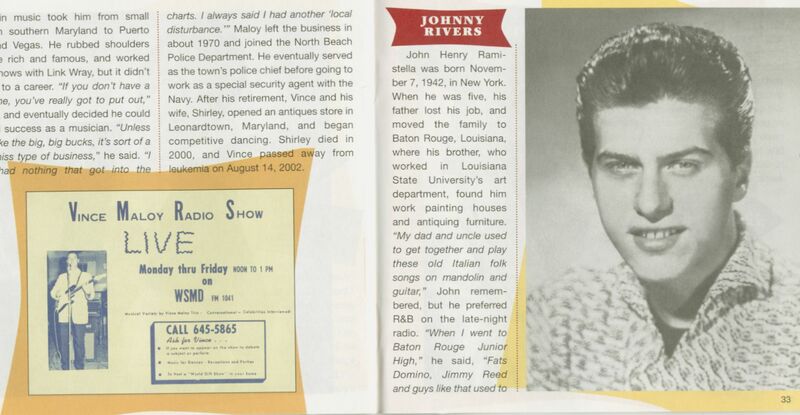 Goldner never actually produced anything for Roulette, and 'Billboard' announced on April 6, 1957 that "[Goldner] has sold his interests in the Roulette, Rama, Gee and Tico labels outright to the Morris Levy combine." Goldner went on to launch Gone and End Records, but would sell those to Levy in one of his many moments of need, hence the inclusion of Gone/End repertoire in this collection. Even before Goldner's exit, Levy realized that Roulette needed someone who could supply the musical savvy that he lacked, so he brought in Hugo Peretti and Luigi Creatore from Mercury as day-to-day managers. Luigi told Peter Guralnick that they bought 50% of the label for $1000, but, if Freed owned 25%, it's unlikely that Levy, Kahl, and Kolsky owned just 25% between them. In the late 1950s, Alan Freed sold his share of Roulette to some mob characters whom Levy wouldn't name, and it's unclear how Levy reclaimed Freed's share…but he did. Around the same time, Hugo & Luigi went to RCA as independent producers, but they didn't formally relinquish their share of Roulette until 1965. Levy made it clear to them that their original $1000 investment had not gained in value, and reacquired their share for one thousand. In 1962, Kahl and Kolsky quit Roulette to start Diamond Records, but Roulette survived, still issuing records (albeit mostly drawn from its extensive back catalog) until 1977 or '78. Levy's empire grew to include manufacturing, rack jobbing, and retail, but it all began unraveling in the mid-1980s when FBI wiretaps revealed a tangled web of criminality. In 1988, he sold Roulette to Rhino Records for North America and EMI/Capitol for the remainder of the world. Around the same time, EMI also acquired Levy's precious music publishing catalog. On May 21, 1990, Levy died of liver cancer aged 62 while appealing his sentence, and thus sort of beat the rap. Phil Kahl died in Florida on March 13, 2000, aged 83. 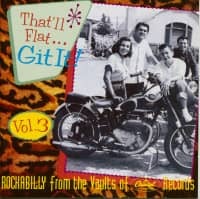 Every CD would be for the most part a 30 song jukebox of the finest Rockabilly ever recorded for all the great labels. We sourced the very best sounding tapes and took them to the best mastering engineers, and then we took the packaging to a new level. 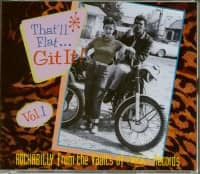 We adopted the catchphrase of the first Rockabilly dee-jay, Dewey Phillips, 'That'll Flat Git It!'. We looked for previously unpublished photos, and tried to find all the artists who'd never been found before. 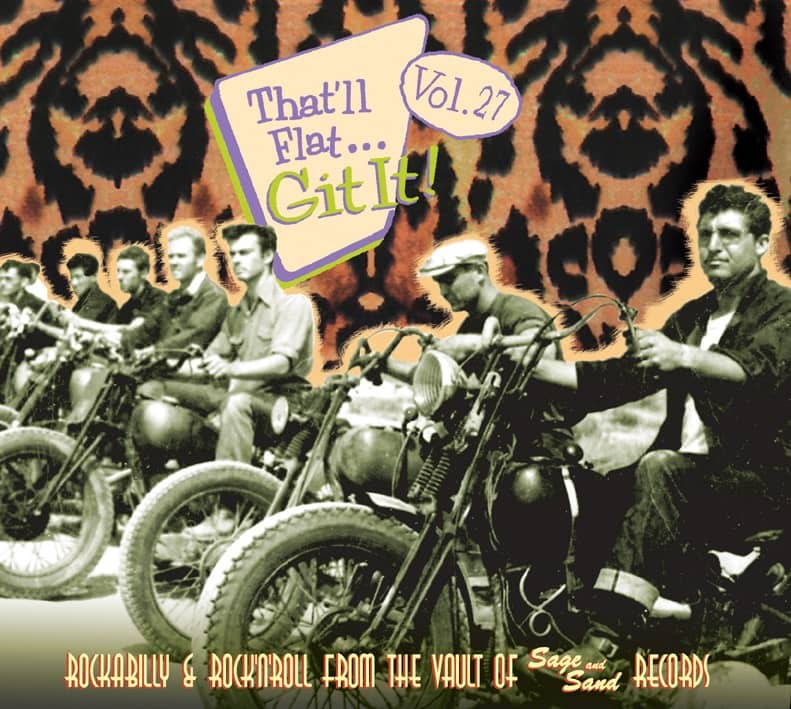 The result is a truly definitive Rockabilly series that now runs to twenty-seven volumes. 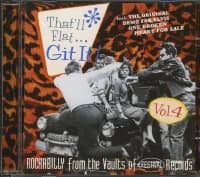 Back in 1992, we had the idea that we should create the all-time definitive Rockabilly CD-Album-Series, That'll Flat Git It! 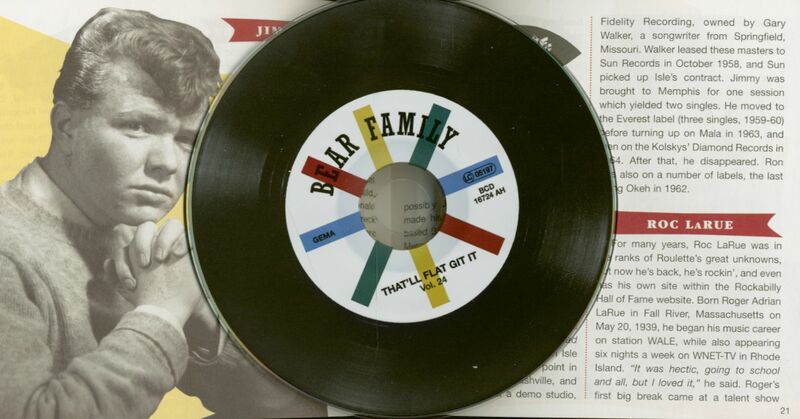 - Above all, Rockabilly was music recorded for 45RPM singles, so we designed a CD-Album-Serie label-by-label instead of artist-by-artist. And we compiled it for listening pleasure. Just the great stuff, plus a few super rarities. 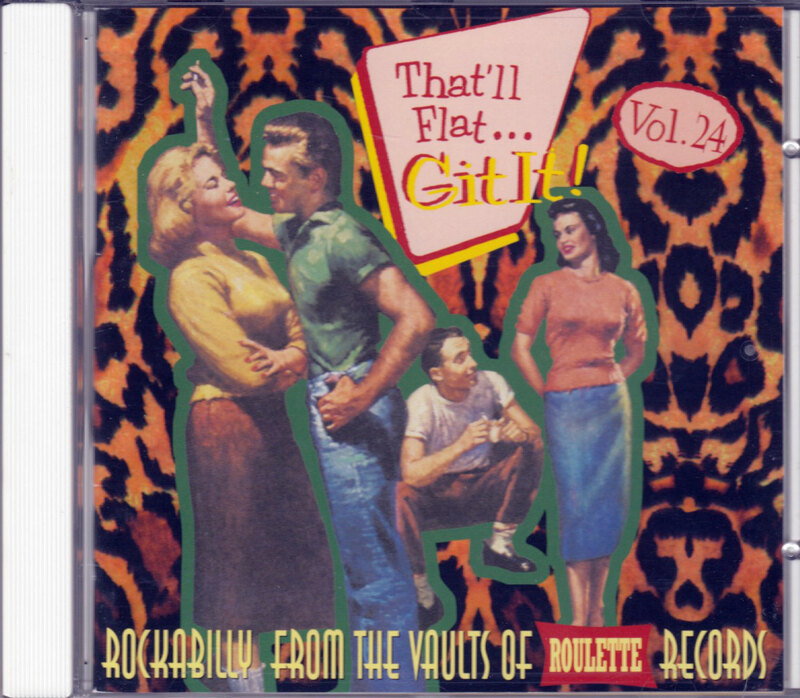 Every of these That'll Flat Git It CDs would be for the most part a 30 song jukebox of the finest Rockabilly ever recorded for all the great labels. We sourced the very best sounding tapes and took them to the best mastering engineers. On top we took the packaging to a new level. 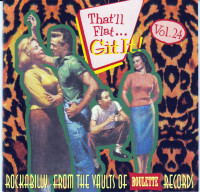 We adopted the catchphrase of the first Rockabilly dee-jay, Dewey Phillips, 'That'll Flat Git It! ', and we hired Bill Millar, who'd compiled the still-classic label-oriented LPs in the 1970s and 1980s, to write the notes. We looked for previously unpublished photos, and tried to find all the artists who'd never been found before. Customer evaluation for "Vol.24 - Rockabilly From The Vaults Of Roulette Records (CD)"